Our Employees See Us As Family. Our Customers See Us As Better. 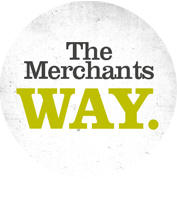 Merchants Bank’s cutting edge products and services make the most of your time and money. But how many banks make real time for you? At Merchants Bank of Alabama, you see the same people year after year. You never get the run-around that you do at banks where employment is a revolving door. Instead we keep our door open, so you can talk to any employee up to the CEO to get where you need to be. Owner, Farmers Poultry Supply, Inc.